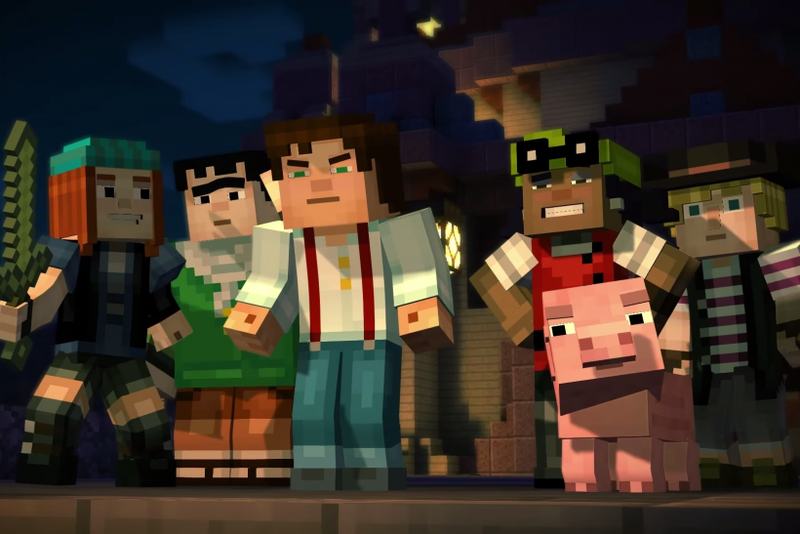 The new "Minecraft" spinoff "Minecraft: Story Mode" will have a narrative storyline with players making decisions that affect the outcome of the game, much like the "Choose Your Own Adventure" books of the 80s and 90s. Publisher Telltale Games released a trailer for the game on Saturday, with developer and Microsoft-owned gaming company Mojang premiering it on the same day during MineCon 2015 in London. The tension-filled video, which totals 1 minute 26 seconds, shows the main character Jesse and his gang battling zombies, creating swords and getting ready for battle. “Players will control protagonist Jesse throughout the season, as portrayed by actor Patton Oswalt,” said the caption of the video on YouTube. “Jesse and his group of friends revere the legendary Order of the Stone: four adventurers who slayed an Ender Dragon. While there is no official release date yet, the five-part episodic game is set to be released this year, with Telltale Games saying it will be “available to download soon” for Xbox 360, Xbox One, PS3, PS4, PC, Mac, Android and some iOS devices. Watch the trailer below and get excited. "Just like the first release of Minecraft all those years ago, this version will develop and evolve over time with the help of your feedback," said Hill in the statement on Xbox Wire. "That’s why it has “Beta” in the title - because it’s not quite finished, and will become even more fun over time. Just like the other versions of Minecraft, all future updates will be free."